The first week of this years’ Nationals is already over. After the opening ceremony play got underway with the Mixed Triples where some favoured teams didn’t make it through. However, the defending champions, Grace, Robert & Graham Cathcart (Teide – Tenerife) are still there and will meet the San Miguel trio of Brian Allen, Brian and Lin Miller in the quarter final. In the other 1/4’s Noel Davis, Gail & Fred Willshire (San Miguel) will play Jan and Brian Pocock & Suzi Cooper (San Luis), while Peta Rhodes, Peter Morgan and Fred Roberts (Quesada) will play Mel and Colin Highland and Colin Lindgren (Emerald Isle). In the last of the 1/4 finals, which will all take place at Quesada Bowls club on Tuesday afternoon, Debbie Colquhoun, Graham Marlow & Jenny Thompson (Indalo) will play Kevin McKenna, Deidre Leeming and Barry Armstrong (Quesada). It was then onto the Ladies pairs where last years losing finalists, Peta Rhodes and Carol Broomfield (Quesada) in the ladies event battled their way through to meet Val Collier and Ann Eagle (San Miguel) in the first of the semis with Gail Willshire and Lynn Greenland (San Miguel) contesting the second semi final against Gill Atkinson and Jan Dando (Indalo). In the Mens pairs Paul Parkes, one of last years champions playing with new partner Pat Heaney (Emerald Isle) will take on Chris Brazier and Graham Phillips (Quesada) in one semi while the father and son team of Gary and Johnny Raby (San Miguel) will play Drew Gerrard and Colin Highland (Emerald Isle). The ultimate contests of the first week’s play were the Premier events of the Ladies and Mens singles. Both had some real nailbiters in the early rounds which kept the spectators on the edge of their seats. 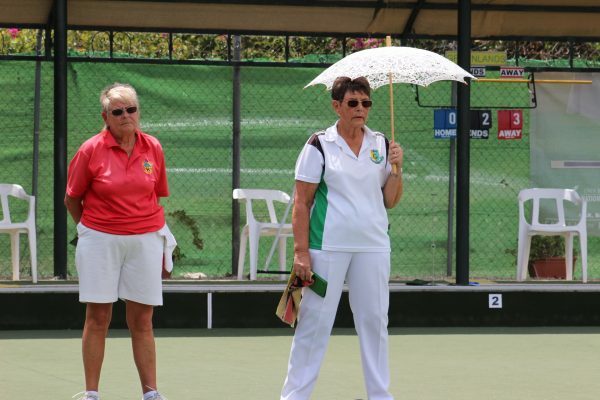 The two finalists from the 2016 Ladies Singles are both out with the semis to be contested by Nina McKenzie (Mazarron) against Carol Broomfield (Quesada) and with an all Quesada semi of Peta Rhodes against Jacqui Johnston, Quesada are guaranteed at least one finalist. 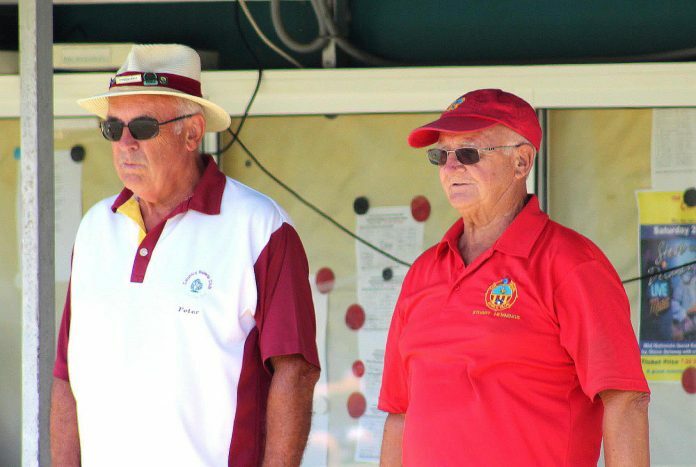 In the Mens event, last years champion Martin Foulcer (Vistabella) is still in with a good chance of retaining his title, something that has only been achieved in previous years by Keith Jones (twice) and Pete Bonsor. 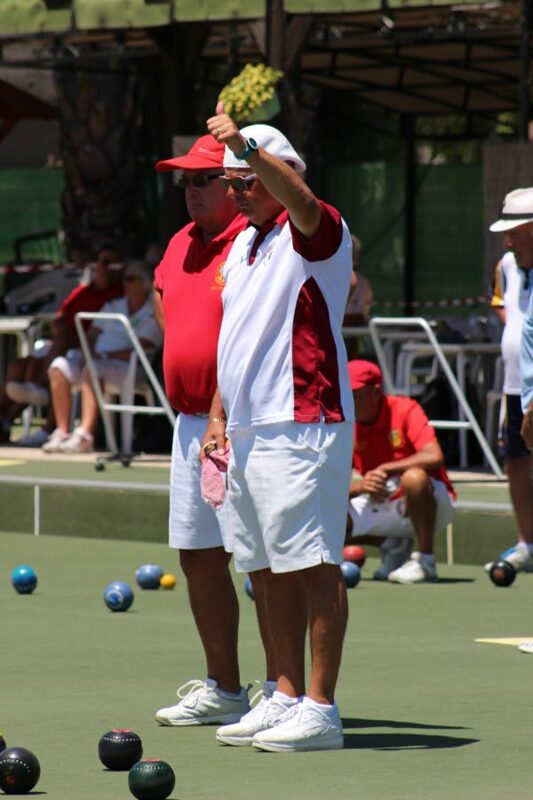 He will play Brian Robertson (Mazarron) in one semi final, while the other match will feature National Team Manager Graham Cathcart (Teide-Tenerife) against John Rimmer (Country Bowls). 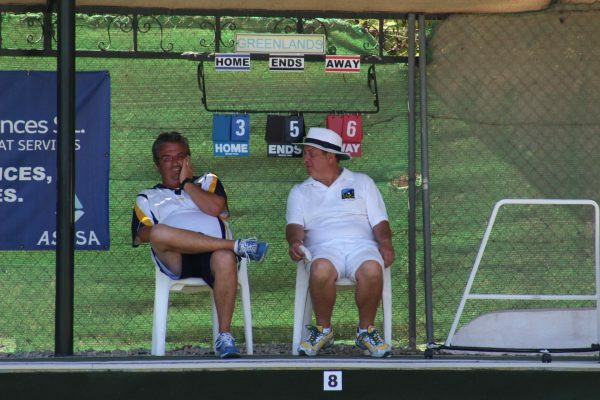 As the tournament now moves north from Greenlands to Quesada Bowls Club, and as we enter the latter stages of the competition, players can now see themselves within sight of a prestigious National title but with many twists and turns yet to come there is still plenty to play for in the 2017 Championships. So as play continues at Quesada, where the schedule for the latter stages will be released early this week, what we do know is the finals will be played on Saturday with the presentations toward the end of that afternoon. Before that, however, Nursing Staff from Quirónsalud Hospital will be on hand to carry out free blood pressure checks at Quesada Bowls Club on Friday May 26th, from 10:00 a.m. to 13:00 p.m., a problem that affects four out of ten men and three out of ten women in the Valencian Community. They will also remain for much of the afternoon where they will also be providing information on the prevention of injuries. Checks and advice are absolutely free and are available whether you bowl or not so why not take advantage and go along.